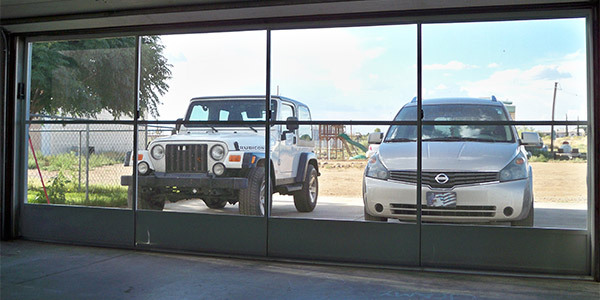 Art Glass Inc has been the premier glass repair service in Las Cruces and Southern New Mexico since 1969. We serve residential and commercial clients with high quality glass installation and repair, and are able to complete a wide variety of unique and unusual projects, in addition to everyday services. No home or business is complete without windows, whether they serve a purely functional role or add crucial elements to a building’s aesthetic or appearance. When something goes wrong with your windows, whether it’s storm damage, a crack caused by an errant ball or anything else, you need a glass repair service that can repair the window or install a new one. For more than 45 years, the top source for custom glass in Las Cruces, NM has been Art Glass Inc, and we’re here to take on everything from standard broken windows at residences to large-scale glass installations for businesses. We provide high quality custom glass installations and repairs for residential and commercial clients. We are a proud local, family-owned and operated small business in Las Cruces, NM. We are very community-oriented and give back to local organizations and the local Special Olympics. Our team loves a challenge and takes on all kinds of different and unique projects. We’re committed to offering our quality services for competitive prices. Continuous Improvement– Both for our own professional development and for the services we provide our clients, becoming an ever better version of ourselves and for our clients is important to the very core of Art Glass, Inc.. We want to improve and innovate constantly and consistently, this is a core value that is important to the organization and our success. Rolling Up Sleeves– No matter your level in the organization, you’re willing to dive in head first to get work done and support the team. No one is above lending a hand and ensuring what needs to get done to achieve success is done. Transparency– We believe in being honest with our clients and with ourselves in order to become the best people, co-workers, and advisors to our clients that we can be. Creativity– Our clients rely on our ability to be creative, to think “outside of the box”, and to deliver winning solutions. Being creative at Art Glass, Inc. is a core value and should be fostered on a personal and professional level. Craftsmanship– Our work is our art and we want to apply attention to detail, pride, and the highest quality behind every client account and and company project we work on. Experiences– Learning by experience is the way we grow. We shouldn’t be afraid of failure if we’re trying, learning, and moving forward. We should push ourselves to try new things both personally and professionally. If you’re in need of window glass repair or any type of glass installation services, call Art Glass Inc today for more information.